These are the handmade Christmas presents that my children gave to each other. 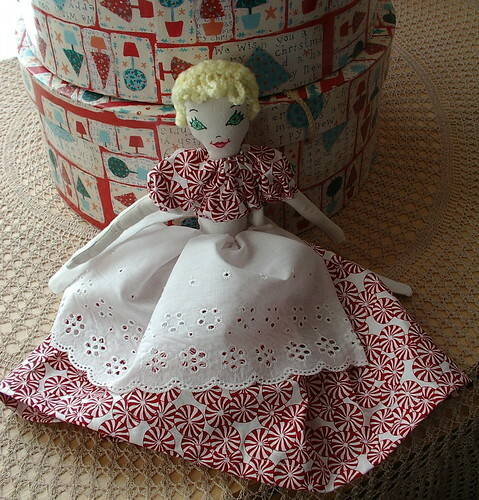 The oldest two gave this doll to the youngest; the pattern came from a toaster-cover pattern that had belonged to my husband's grandmother. The children and I modified it to have legs and such so it could be an actual doll since the original had a piece of card board that you fit into the toaster slots to hold her up right. I don't know about you, but that sounds like a fire waiting to happen. 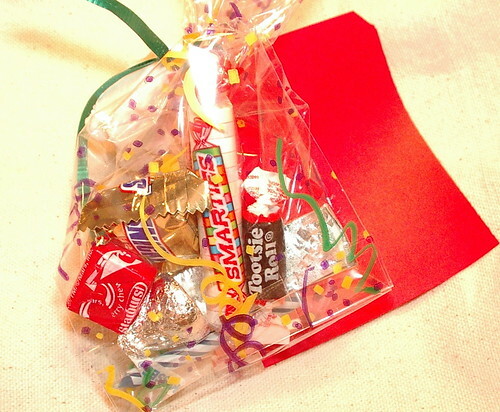 There will be three consecutive posts about the gifts my children gave to each other, with the help of mom. 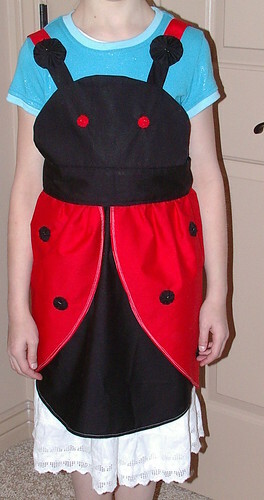 The oldest and the youngest got together and gave my middle daughter this lady-bug apron. 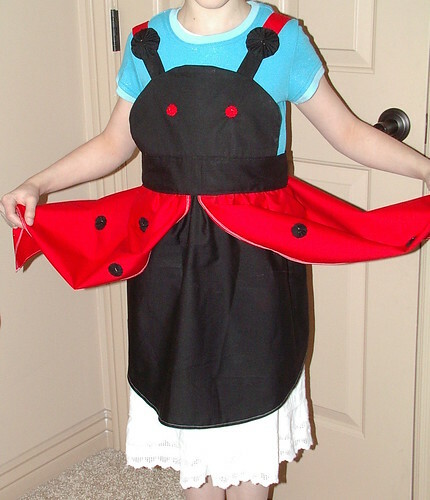 She just loves ladybugs, so they figured she would like this a lot. The oldest daughter is modeling it for these photos because it was still a secret when these photos where taken. Our secret elves did not let us see them tonight, but they did tell us who they are. They are the young ladies in my church (teenagers 17-18 years old and their teachers at church). Can I just say how great that is to me that teenagers would take the time to make such fun for my children. The children got so excited each night I couldn't have asked for a better gift than to see my children excited about this sort of thing. I know, silly, but it was great fun for them. We got ice-cream drumsticks tonight. 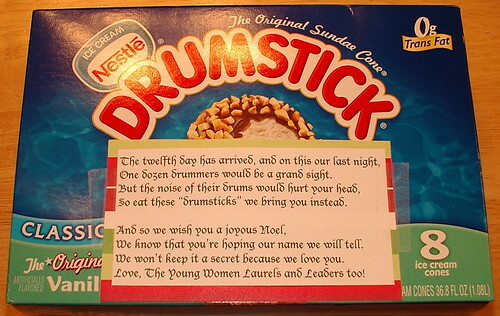 So eat these "drumsticks" we bring you instead. We know that you're hoping our name we will tell. We won't keep it a secret because we love you. Love, The Young Woman Laurels and Leaders too! Another day has come and gone, and I am exhausted from making centerpieces all day at work and shoveling my car out a few times today. So when we came home we got greeted by the 11th days gifts. We got Stephen's hot cocoa (chocolate mint truffle) to go with it mini marshmellos. Of the chill and snow we don't have to be told. 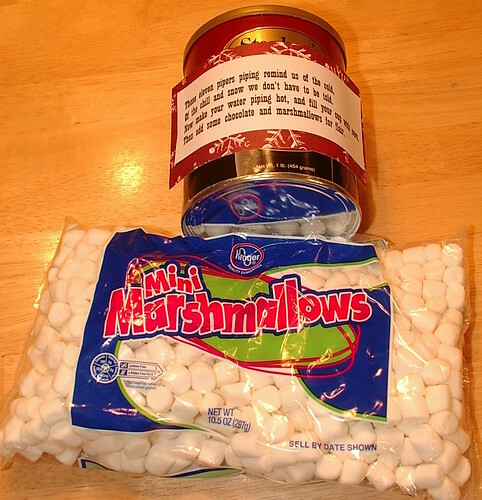 Then add some chocolate and marshmallows for flair. This is not a normal post because I usually don't post on Sunday. So this is not normal, but it is such a special item to me and my daughter that I just had to share on the day it was completed (plus I will post later, too, the next day in the 12 days; might as well make a day of it). 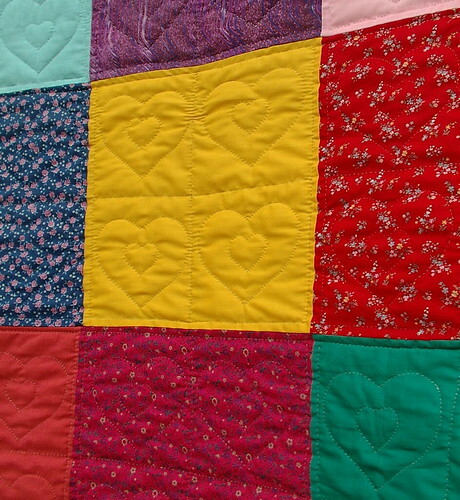 My oldest daughter made a quilt top when she was in first grade, 6 years old. Then placed it on my best quilt frame and every now and again she worked on quilting it. I worked on it some to encourage her to quilt it (so she could have her quilt and I could have my frame). This quilt was even on the frame a year and a half ago when we moved, so we had to be careful not to hurt it in the move. 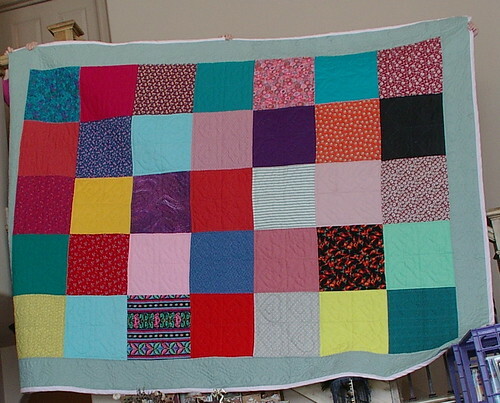 Her quilt was the first quilt placed on the frame, so I have never been able to use it for my own quilts. Sunday morning at 1:37 am she finished it! I got up at 4:30 am and bound it. 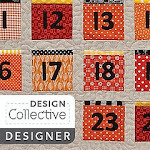 By the time she woke up at 6:30 am, she realized she was sleeping under her finished quilt. Can I just say we are both excited to have it done. It was a major first quilt; I tried to get her to do a doll or baby quilt, but she wanted one she could sleep under, and now she can. All the colors got picked when she was 6, so I hope she still likes her color combinations. If not, oh well, that is how it is. For a first project, I think she did a great job. Now, at 11, she has her own quilt to sleep under. 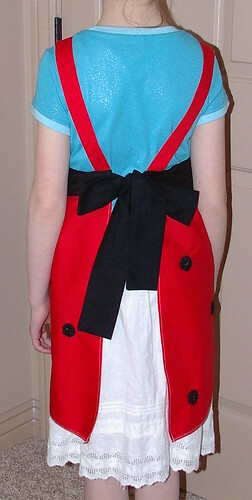 The top and backing are all cotton; the batting is wool. 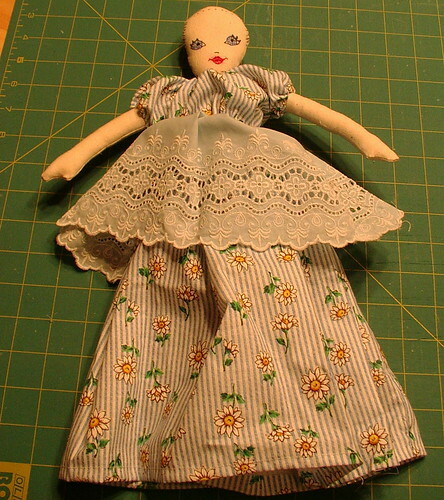 I figured it was better to start her with good material because quilting through polyester is a pain and very discouraging and wool is so easy she would like it more and it is a warmer quilt. This will fit her twin bed. 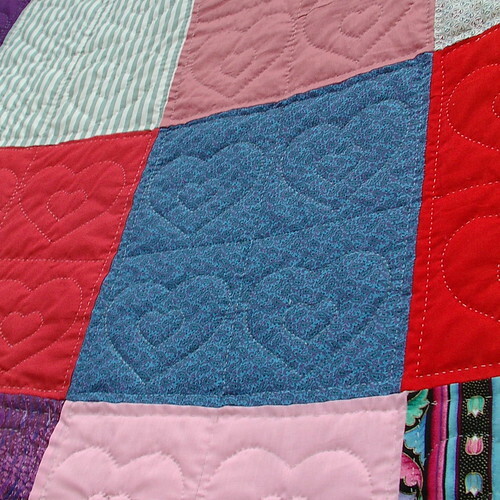 The blocks are quilted with hearts and the boarder has celtic knot work and hearts. So the 9th day happened, and the girls all got a gift. Sorry, but I guess my husband is out on this one unless he wants to keep the bag. I waited 'till morning to take the pictures because I wanted them bright since all the photos lately have been taken when it is still dark out and it is driving me nuts to have such dark, gloomy photos. The quilt in the back ground I will post about on Monday. 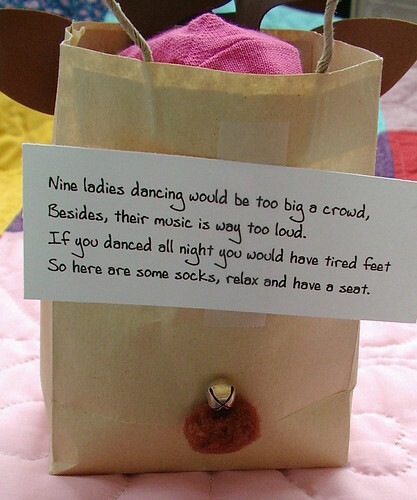 that actually fit us all (the girls that is; none for husband, but I don't think he would wear them anyway, wink wink)! Besides, their music is way too loud. 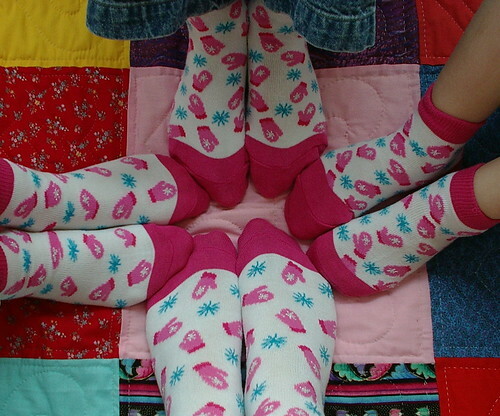 So here are some socks, relax and have a seat. Day 8 has come and gone, and here we are at the blog once again; tons of snow and snow shoveling. This one was an easy one for the kids to guess, and they got so happy that they have now guessed two right. Not great odds; pretty unique twelve days, I must say. Yep, I bet you guessed it, too. MILK!!!! On the eighth day of Christmas, we're busy as a bee. The eight maids-a-milking are as busy as we. Before they could scatter, they did milk the cow. Here is some milk to drink up right now. This is what my family has every Christmas eve when we gather together. My Aunt Nonnie always makes it. So a few years back I asked her for the recipe because I figure there will be some point in time when she will not be able to make it any more. This recipe is for 25 people. Start a day in advance; cook on super low heat all day long and night long, too. Add 2 1/2 to 3 lbs clams, large shrimp, scallops, cook a little bit longer in a real big pot put in cracked crab. 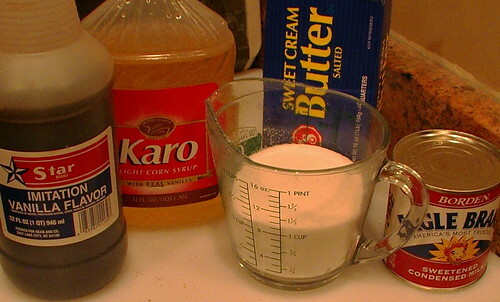 If bitter, just keep tasting as it goes along and add 1/4 cup sugar to get rid of bitterness, if needed. 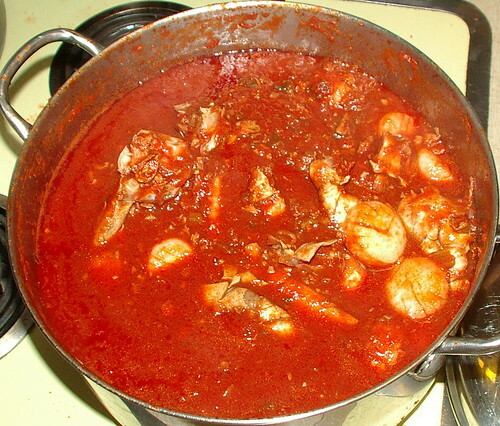 Serve with French bread to sop up all the juices; this is a messy, but good, meal! From Aunt Virgie (1969) who got it from someone in San Fransisco. 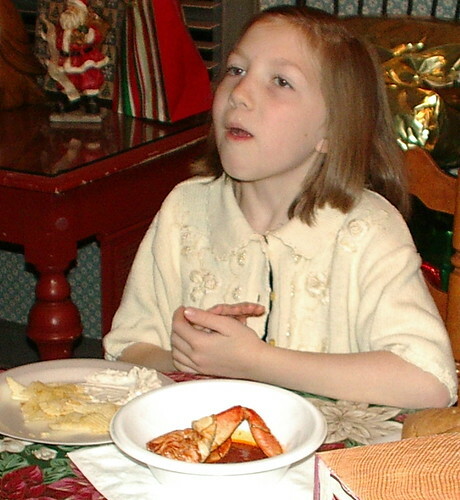 Then this was told to Wendy on December 24, 2004 (Christmas eve while eating some) by Aunt Nonnie. My youngest eating trust me she may not look happy but she ate for almost an hour straight (she loves the stuff) those clean little arms by the end of eating where bright red from the tomato juice in the dinner. 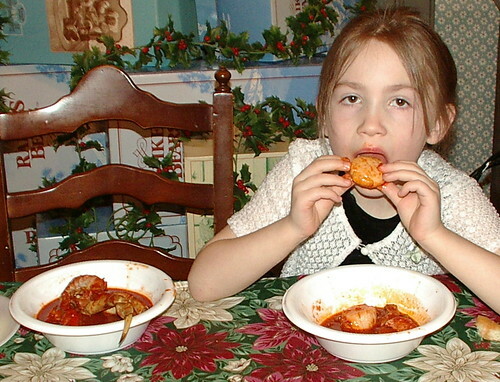 This is my middle daughter eating she is a little pickier she likes it but wants me to do all the hard work of cracking the shells and such. Pictures added new years day after we came back from California for 2008 Christmas. On a total side note, here is a place that sells cool aprons. I want to get some of these in the future, just not right now. Well, we had tons of snow again, and my oldest daughter shoveled 'till real late, so they came real late at night. 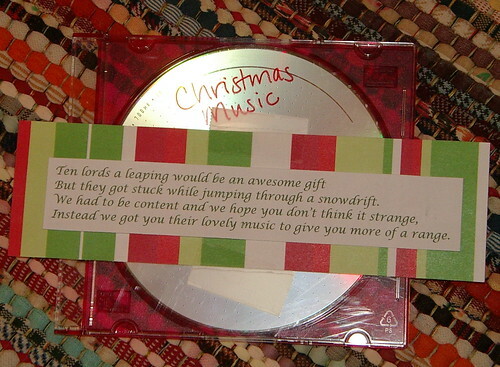 They left such a sweet gift, too. Remember no peeking or you'll spoil the fun. If seven swans a swimming you could see. The 6th day has happened, and I have to say this is the most unique 12 days I have ever been a part of giving or receiving. The children are having so much fun. 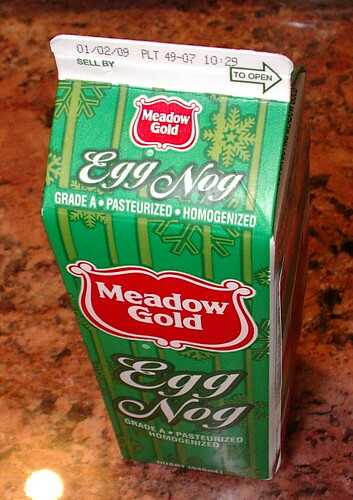 When tonight's item came, the kids all said in unison that it belonged to Pai because I think he is about the only one in the house who drinks egg nog. However, they still got excited and thought it neat that their Pai gets his own special treat because they have claimed most of them for themselves. One of them squawked and they all took flight. And with these eggs you will want to drink. 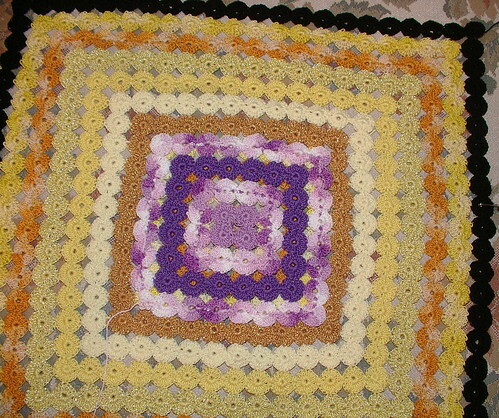 So I finished my first square of my yoyo crochet afghan. 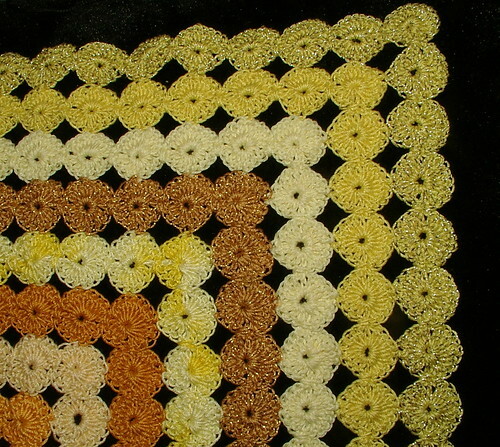 I gave it ten rows of color and one row of boarder which will be two rows wide once other squares are set next to it. I have started on the second one; this one will be in purples. As you can see, it has a ways to go 'till it reaches the size of the first one. These are made out of size 10 crochet thread. It is hard for most people to know the scale of this without some reference, so I have enclosed a photo with my left hand as a size reference (like any one knows that measurement) but you get the idea. 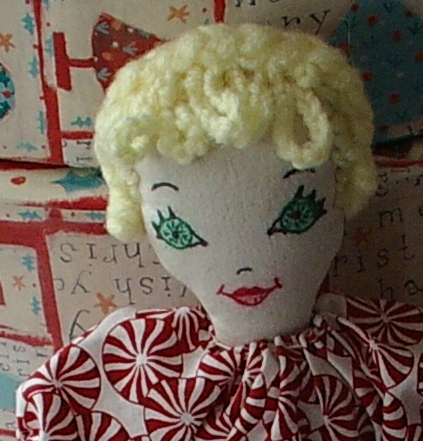 Made from thrifted, gifted, antique and clearanced thread. We have had lots of snow here on the side of the mountain. So the kids wanted to shovel ;you know if they want to I am not going to argue to take my turn! They have learned in the last few days that it isn't easy to shovel snow; it is a lot of hard work, but they had fun, too. Once again they got worried that shoveling the snow kept the elves away. They did come with day five just a little later in the evening. Received: a box of donuts. Enjoy these delicious donuts in lieu. On the first day of Christmas, your pixie friends gave to you some pears from the tree the partridge flew away from. On the second day of Christmas, your pixie friends gave to you some "good" turtles on a bar of Dove soap. On the third day of Christmas, your pixie friends gave to you some noodle soup, compliments from the three French hens. On the fourth day of Christmas, your pixie friends gave to you a telephone message pad designed by the four calling birds. On the fifth day of Christmas, your pixie friends gave to you five golden rings. On the sixth day of Christmas, your pixie friends gave to you the eggs we found when we were looking for the six geese that laid them. On the seventh day of Christmas, your pixie friends gave to you the bubble bath left by the seven swans after they went swimming. 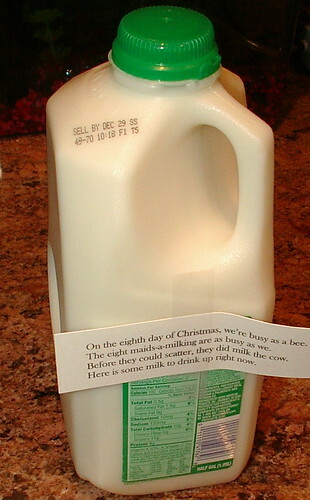 On the eighth day of Christmas, your pixie friends gave to you the chocolate milk we got from the eight maids milking eight brown cows. On the ninth day of Christmas, your pixie friends gave to you some canes used by the nine Ladies who were out dancing all night (they needed the canes to get home). On the tenth day of Christmas, your pixie friends gave to you a rub for sore muscles recommended for use by the ten Lords we saw out leaping! 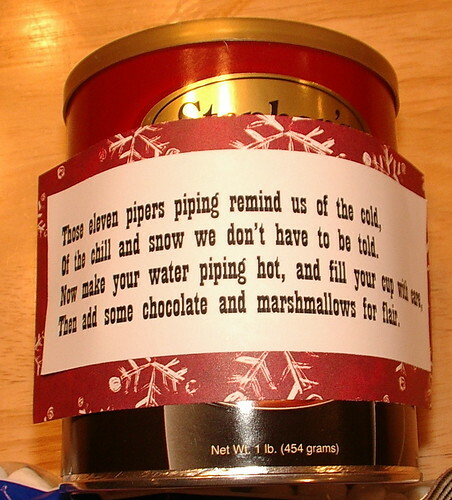 On the eleventh day of Christmas, your pixie friends gave to you some pickles since the pipers stopped piping and started picking a peck of pickles for us to send to you. On the twelfth day of Christmas, your pixie friends, the (your name here)s, gave to you some rolls we drummed up after being inspired by the twelve drummers we heard today. On the twelfth day of Christmas, your pixie friends, the (your name here)s, gave to you some drumsticks used by the twelve drummers we heard today. 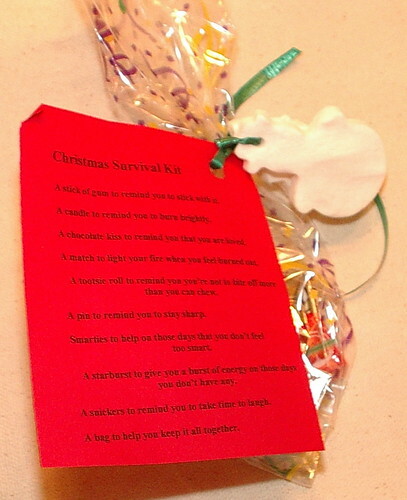 If you need a quick and easy gift for school teachers and people of that sort, this may help. Also, curling ribbon to tie it closed and a copy of note. A stick of gum to remind you to stick with it. A candle to remind you to burn brightly. A chocolate kiss to remind you that you are loved. A match to light your fire when you feel burned out. A toostsie roll to remind you that you're not to bite off more than you can chew. A pin to remind you to stay sharp. Smarties to help on those days that you don't feel too smart. A starburst to give you a burst of energy on those days when you don't have any. A Snickers to remind you to take time to laugh. A bag to help you keep it all together. We also tied two of the ornaments we made out of corn starch to the outside of it. So we received our next item. Our children were very concerned because it snowed. My oldest daughter was shoveling, so they figured no one would come because of her being outside for over an hour. 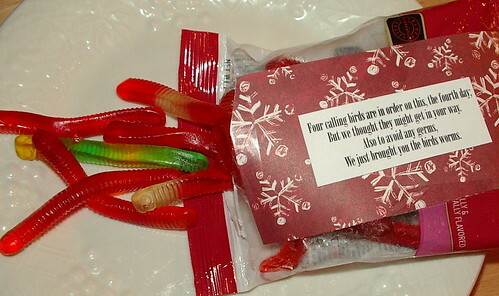 Item received: a bag of gummy worms. But we thought they might get in your way. We just brought you the birds' worms. Matthew 2:9-10 "...and lo the star which they saw in the east." Luke 2:10-14 "Glory to God in the highest." Luke 1: 45-49 "...from thenceforth all generations shall call me blessed." Matthew 2:11 "Gold, frankincense and myrrh..."
Song, "Away in the Manger," "The cattle are lowing..."
Matthew 2:8 "Go and search diligently..."
Luke 2:4 "And Joseph also went up..."
Luke 2:8-9 "...there were in the same country shepherds abiding..."
Song (LDS Primary Childrens Songbook p. 38) "When Joseph Went to Bethlehem," "He urged the donkey onward..."
Matthew 2:1-2 "There came wise men..."
Isaiah 9:6 "For unto you a child is born..."
"And, lo, the star which they saw in the east went before them till it came and stood over where the young child was. When they saw the star they rejoiced with exceeding great joy." "And the angel said unto them Fear not: for behold I bring you good tidings of great joy which shall be to all people. For unto you is born this day in the city of David a Savior which is Christ the Lord. And this shall be a sign unto you: Ye shall find the babe wrapped in swaddling clothes lying in a manger. And suddenly there was with the angel a multitude of the heavenly host praising God and saying Glory to God in the highest and on earth peace good will toward men." "And blessed she that believed: for there shall be a performance of those things which were told her from the Lord. And Mary said My soul doth magnify the Lord. And my spirit hath rejoiced in God my Saviour. For he hath regarded the low estate of his handmaiden: for behold from henceforth all generations shall call me blessed." "And when they were come into the house they saw the young child with Mary his mother and fell down and worshiped him: and when they had opened their treasures they presented unto him gifts: gold and frankincense and myrrh." "The cattle are lowing the poor baby wakes but little Lord Jesus no crying He makes." "And he sent them to Bethlehem and said Go and search diligently for the young child: and when ye have found him bring me word again that I may come and worship him." "And Joseph also went up from Galilee out of the city of Nazareth into Judaea unto the city of David which is called Bethlehem: because he was of the house and lineage of David." "And there were in the same country shepherds abiding in the field keeping watch over their flock by night.And the angel of the Lord came upon them and they glory of the Lord shown round about them: and they were sore afraid." "He urged the donkey onward then with Mary on his back..."
"Now when Jesus was born in Bethlehem of Judaea in the days of Herod the king there came wise men from the east to Jerusalem. Where is he that is born King of the Jews? For we have seen his star in the east and are come to worship him." "But behold ye have both heard my voice and seen me: and ye are my sheep and ye are numbered among those whom the Father hath given me." 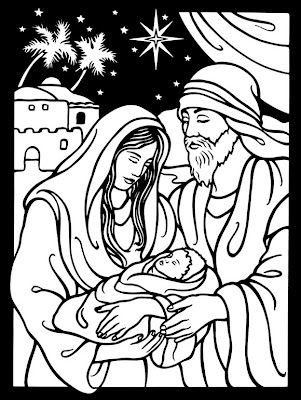 "For unto us a child is born unto us a son is given: and the government shall be upon his shoulder: and his name shall be called Wonderful The Mighty God The Everlasting Father The Prince of Peace." So it is the third day and this is what came to us from the 12-day elves. 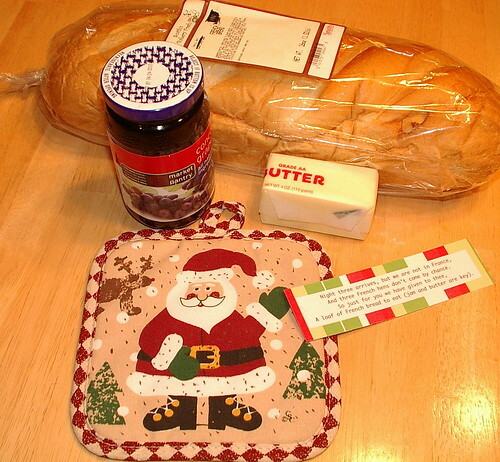 A loaf of French bread, butter, grape jelly and a pot holder. And three French hens don't come by chance. A loaf of French bread to eat (jam and butter are Key). The kids are excited; they want to eat this for breakfast. Somehow this beats homemade pancakes, bacon and eggs, and apple juice for breakfast - go figure. 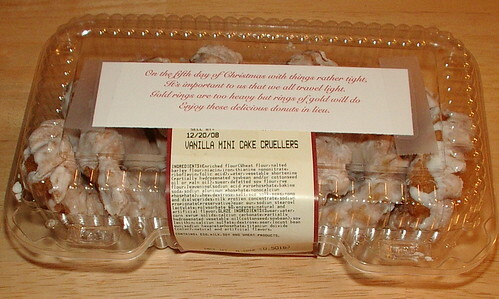 It is a special treat just like no other and it came as a gift, and that is all that mattered to them. My kids are having so much fun with this, and I am, too. I know it is only two nights, but we had fun trying to guess what the next day's item would be. We actually guessed right. The kids got all excited about having chocolate. They know mom is to answer the door and that I will go real slow so as to not spoil the kids' fun of getting stuff and not seeing the givers. Not to be weird, but this was the year I sort of needed this type of thing happening in my life. Long story short, it has been a rough year, and I haven't posted about much of it at all. 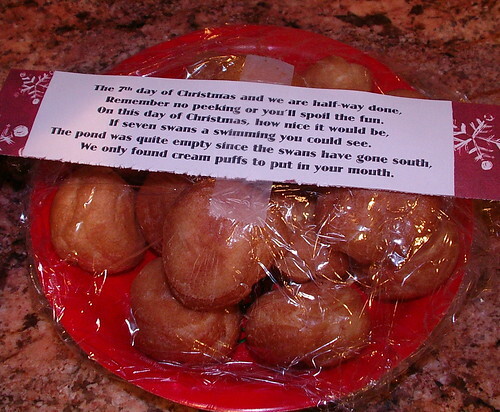 But whoever is doing this for my family is a very dear soul, and I thank them just for the fun it brings to my kids' day. Thanks!!! 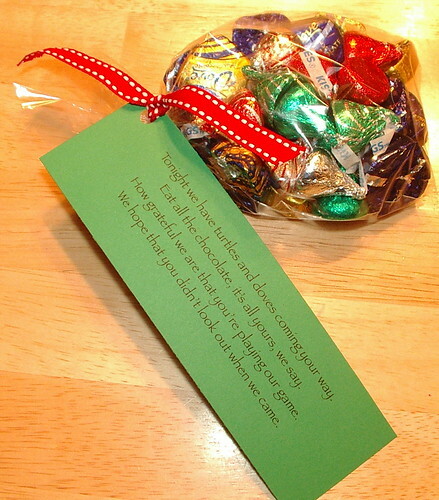 Tonight's gift was Dove chocolates and Hershey kisses in a gift bag with a cute red bow and a note. Tonight we have turtles and doves coming your way. Eat all the chocolate, it's all yours, we say. How grateful we are that you're playing our game. We hope that you didn't look out when we came. We are being twelve-dayed. Each night someone rings our bell and leaves a gift. 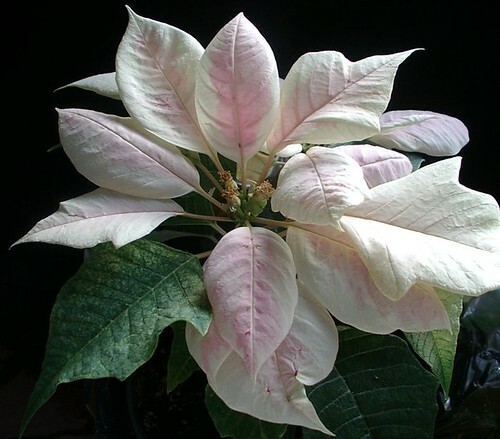 This is the first day's gift. I will try to post them all as I get them; that way if someone else wants to do this they can. 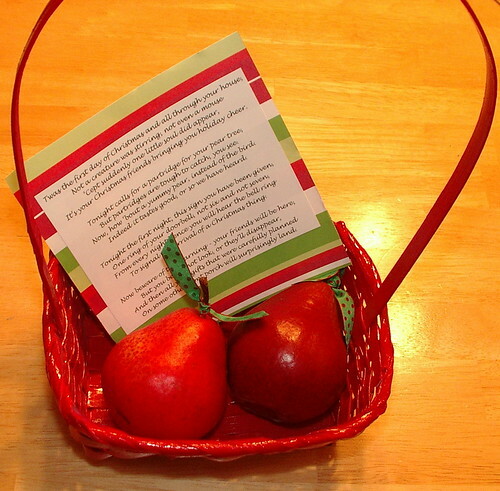 Today's gift: a note, a basket, and two pears tied with real cute, polka-dot ribbon. It's your Christmas friends bringing you holiday cheer. But partridges are tough to catch, you see. Now, how ' bout a yummy pear, instead of the bird. Indeed it tastes good, or so we have heard. To signal the arrival of a Christmas thing. On some other front porch will surprisingly land. When I was a little girl my Vova made these one year with all of us (the grand kids). We got to make our own ornaments any way we wanted to. 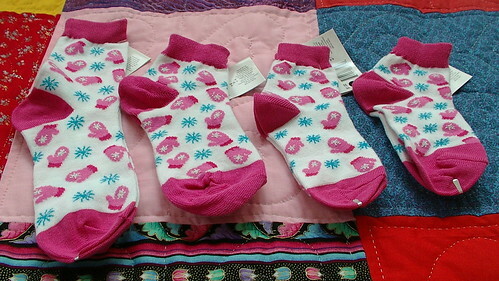 She made very specific ones with hearts to represent each person in the family. Hers looked like little mobiles that hung from her Swedish tree. Over the years they have all become broken which makes sense since there were nine of us children living in that house at the time, and it has been over 30 years since we made them together. But the memory has long out lasted the ornament themselves. So I thought others might like to make some memories with their children or grandchildren this time of year. 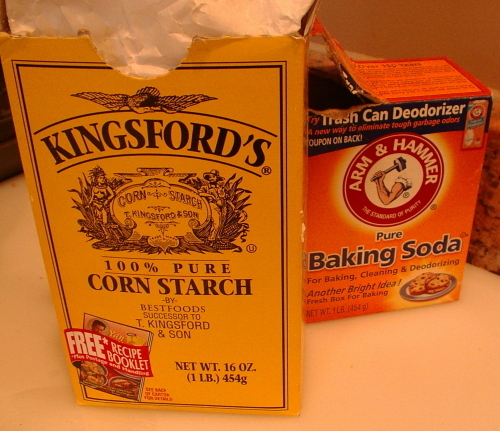 In a large saucepan, mix corn starch and baking soda. Add water and stir until smooth. 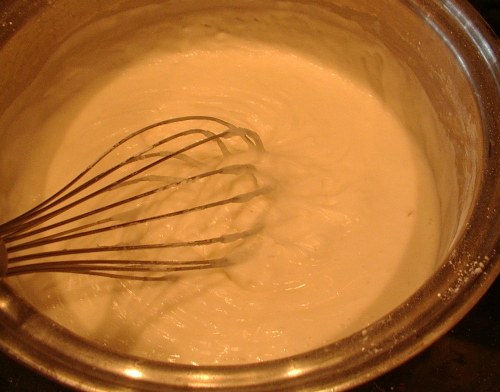 Cover and cook over medium heat, stirring occasionally, until mixture is the consistency of slightly dry mashed potatoes. 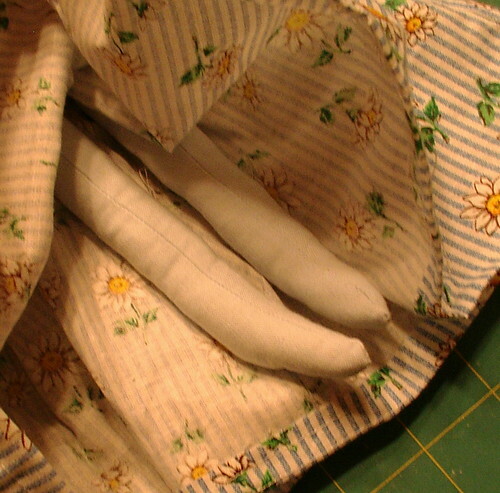 Remove from heat and cover with a damp cloth. When cool enough to handle, coat hands and surface lightly with corn starch and knead until dough is smooth and pliable. 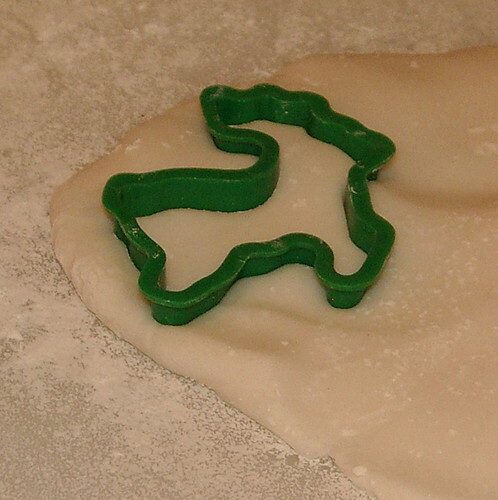 Roll out to 1/4 inch thickness and cut with holiday cookie cutters. 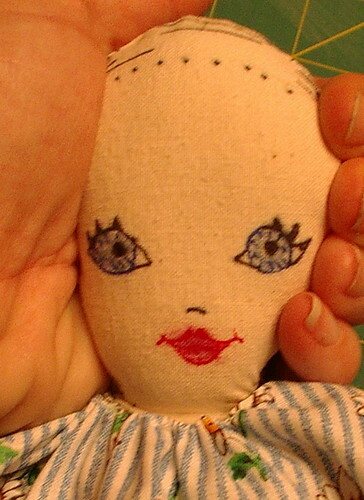 You can also just form them in your hands for free form shapes (that is what we did as children). You can add food coloring at this time; we left ours white in my youth which I will did today, as well. To dry, place on a baking sheet in a 250 degree oven for 20-30 minutes or until hard, or set them on a cookies sheet or wax paper and place in a nice dry place to cool over many days (that is what we did years ago). We placed them on top of the refrigerator 'till dry either way works, one is just quicker than the other. 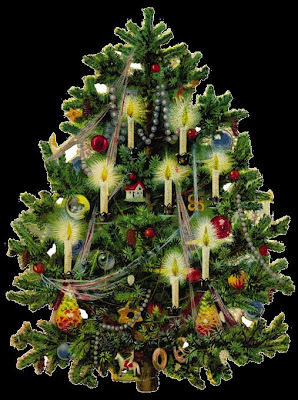 If using oven method, allow to cool and brush loose powder off ornaments before painting. Makes about 16-20 medium size ornaments; if using mini cookie cutters like we did, we got over 70 ornaments. 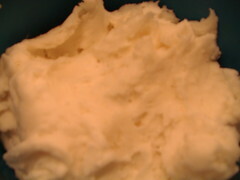 This is a much smoother dough than salt dough and it is a brighter white, too; it also has a sheen sort of like snow. Hard to explain other than snow sort of has little sparkling spots that reflect light and so does this clay which makes it real nice for snowmen and such because the white is nice and bright. On my morning and afternoon commutes the last little bit I haven't been crocheting lace edgings. I have been crocheting, and it is with size 10 thread, but I have been playing around with tons of one color and seeing where that gets me. 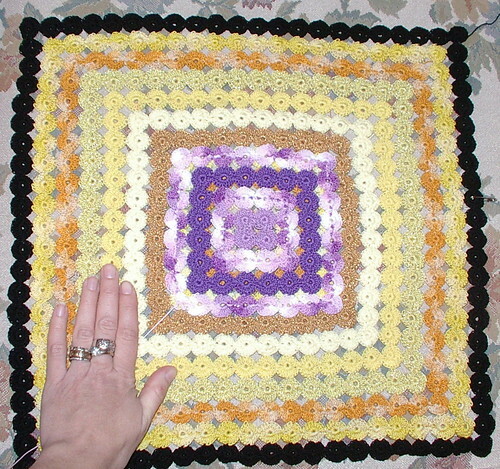 I think this may be an afghan or something of that sort; as for how big, I have no clue. I think 10 rows of one tonal set then a black row is in order, then I will go on to other color sets once I have used up all my yellow. I like the fact that this sort of looks like yoyos. 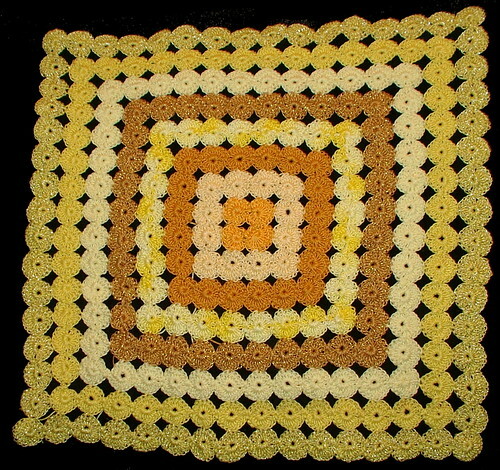 All the thread I am using to make this is vintage, antique and/or discontinued threads except for the black boarder; that was a clearanced thread at a store I frequent, but I do not know if it is dicontinued in anywhere other than that store. Yes, I am working on more stash-buster things like the cathedral windows. Which, if all goes as planned, I can get photos of this afternoon to post the second and last half of the tutorial, but that doesn't seem to be the way my day is going at the moment. I don't know about anyone else, but I am having the hardest time getting into the Christmas spirit this year. 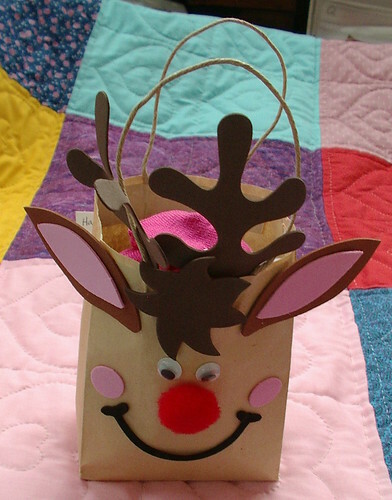 Usually I have been making gifts since June to give to friends and family, but because I work days now, it just didn't happen, and I just am not in the mood for it this year. My children's letters are very sweet and helped a little, and I have been trying to help the kids make their gifts for each other (got half way through one). I feel like a bah, hum bug this year which isn't normal for me. 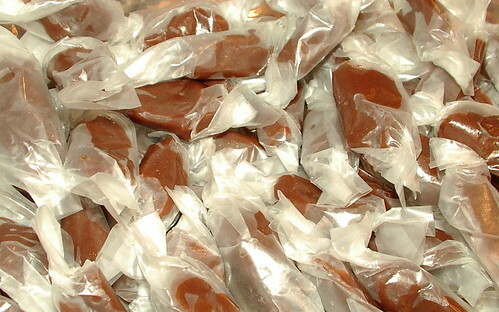 Usually I would have posted at least a half dozen things for Christmas, and so far I have only posted caramels. 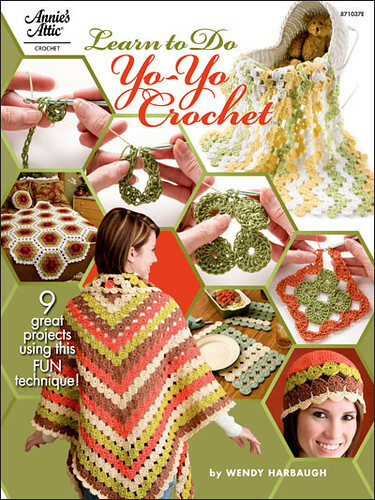 Here is the link to a page full of lovely old old patterns in crochet, tatting, and knitting and other things as well. 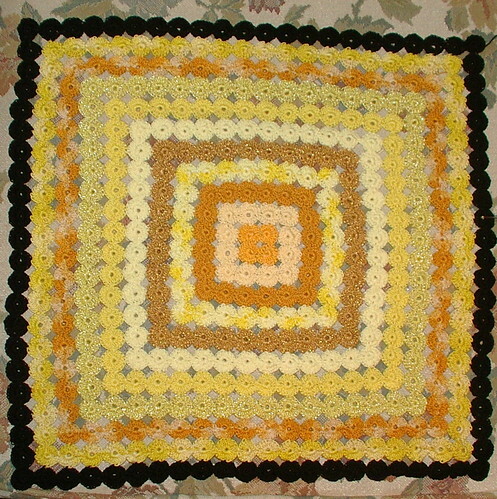 There are thousands of patterns available through this link.